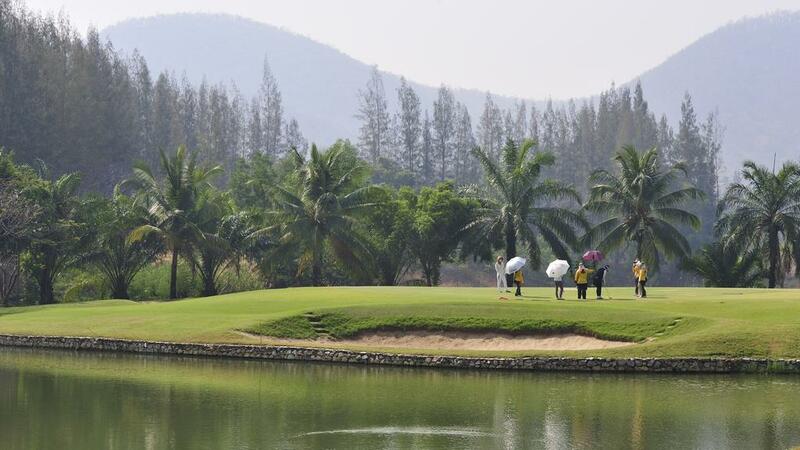 This Asia golf holiday package is a unique golfing experience along The River Kwai. Tee off at as many as six of the best and famous golf courses in Thailand. Combining a river cruise and golfing experiences in a single holiday will surely give you memories for a lifetime. You’ll experience golfing at such resorts as Mission Hills Golf Club Kanchanaburi, Evergreen Hills Golf Club & Resort, River Kwai Golf & Country Club, Green World Hot Spring Resort & Golf Club, the wide fairways at Nichigo Resort & Country Club and the famous tricky water hazards of The Lion Hills Golf and Country Club. Choose from our four day and seven day golf cruises aboard the RV River Kwai. Golf package price is per person based on double occupancy. Single surcharge of ฿ 28,100 applies to cabins with single passenger. Golf package price is per person based on double occupancy. Single surcharge of ฿ 38,030 applies to cabins with single passenger.